Rotathene® provides a much higher level of protection against the Sun than the required industry standard for poly tanks. It is referred to as “SUPA UV” for this reason. Rotathene® SUPA UV provides superior protection for rotomoulded products by incorporating advanced additive technology to last 4.5 times more than the Australian poly tank standard requiring a UV8 level protection. Through the careful selection of a high quality polyethylene base polymer specifically designed for tank use, advanced additives such as UV stabilises and antioxidants, National Poly Group and their supplier, Matrix Polymers, ensure the best materials are used from which to manufacture water tanks. 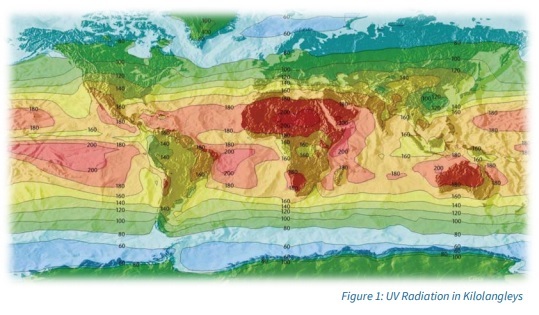 Australia experiences some of the highest levels of UV radiation in the world requiring polyethylene developed with leading edge technology to ensure water tanks are durable and reliable for their long lives. For this reason Rotathene® SUPA UV was created to meet the exacting needs of the Australian water tank market. The UV performance requirement in Australia for chemical and water storage tanks is that at least 50% of the original tensile elongation properties are retained after 8000 hours of intermittent exposure to an intense UV light source. This is known as a UV8 level of stabilisation, and it is the standard required by the Australian and New Zealand standard (AS/NZ4766 Polyethylene storage tanks for water and chemicals). For more information on how testing the performance of polyethylene is undertaken, take a read of our article Testing Poly Tank Sun Protection: SUPA UV Sun Protection.